Da Captain Trips is an Italian band who formed in 2009 with a shared interest in 1960s-70s psychedelic rock. They began as a guitar/bass/drums trio and released an EP in 2010. With the release of their debut full length – Anechoic Chamber Outcomes I – they have added a fourth member on synths. The album consists of 7 instrumental tracks in 41 minutes. The set opens with the 10+ minute Leaving The Mainland Again. The first part of the song consists of steady paced psych rock jamming, with chunky guitar chords and a Prog rock keyboard sound. Then near the 4 minute mark they pick up the pace, still jamming but upping the aggression ante, and the keyboards take on a far more spaced out sound. Lots of cool ultra wah’d guitar solos and searing acidic guitar, firmly in 70s heavy jamming psych rock form but with the addition of spaced out keys. The music continues to gradually shift and includes some mellower dreamy passages to offset the heavier rock. Sargassian Way To Definitive Blue goes in a different direction, with melodic yet still psychedelic guitar solos leading the way, accompanied by a soaring, hypnotic synth line, and backed by a march-like rhythmic pace. I like the brief aggressive engine revving mode the synths go into later in the song. I like the jamming feel of the longer tracks but I think Da Captain Trips are much stronger with shorter, more tightly focused tunes. My favorite tracks of the set are Merfolk Ride and Mar-Has-Kas. 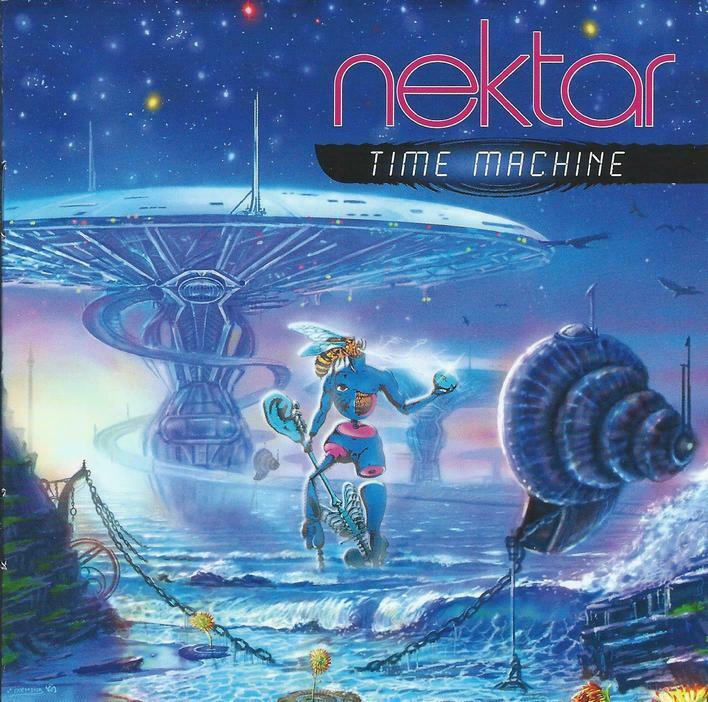 Merfolk Ride is a hot ‘n heavy psych rocker with monster guitar, and synth lines that sound like something out of a 60s sci-fi TV show theme. And on Mar-Has-Kas the guitar goes from bubbling liquid psych to ripping rock solos, accompanied by spacey melodic synth lines and a solid tight-as-a-knot bass/drums foundation. 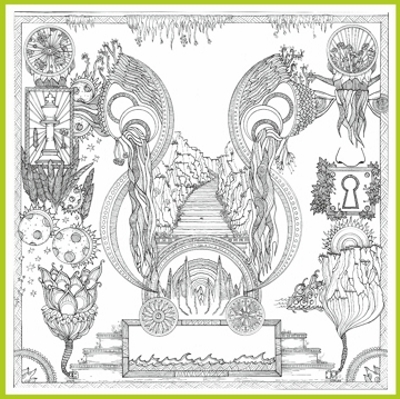 Floating goes in a couple odd yet interesting directions, from trippy Eastern flavored psych, to some of the most raucous rock of the set, and finishing on a meditative note. Old Man From The Sea is intense, cinematic, and almost symphonic at times. And Siren’s Call ends the album, being an atmospheric, exploratory piece, with a slow yet pounding percussion pattern backed by howling and droning soundscapes. In summary, Anechoic Chamber Outcomes I is a decent set of instrumental psych driven rock. The 70s influences are clear throughout, but Da Captain Trips are no retro band and, to their credit, each of the 7 tracks offers something a little different. And while I enjoyed the lengthier jams, the band’s strengths seem to lie in shorter, more structured songs. Alisa Coral returns with a new Space Mirrors album, once again blurring the lines between Space Rock, Metal and Progressive Rock. The Other Gods is the follow-up to last year’s In Darkness They Whisper, and is the second installment in the Cosmic Horror trilogy inspired by H.P. Lovecraft’s stories. The set opens with the power rocking Stranger In The Mirror, kicking off with Goth flavored keys and then transitioning to more spaced out Prog styled keys. Claudio Tirincanti’s drumming is relentless on this song. After a spacey intro, The Nameless City launches into a potent but steady paced Prog-Metal dirge, with a really cool combination of lead and rhythm guitars. Martyr Lucifer’s ominous spoken-sung vocal style is uniquely captivating, on the surface sounding somewhat monotone, yet communicating hypnotic passion, like he’s some kind of singing narrator. She-Devil picks up the pace again, being a steady rocking blend of Metal, Goth and Prog. I like the melodic deep space instrumental mid-section, and we’re treated to some tasty guitar leads from Sparky Simmons. Frozen City Of Cubes and Cones alternates between Prog-Metal and dreamy spacey acoustic sections, constantly transitioning through multiple musical themes, as well as rough and tumble rhythmic paces and patterns. Cyndee Lee Rule is credited with violin string section, which adds a gentle counterpoint to this otherwise heavy rocking song. Nik Turner cranks out a couple wailing sax solos which sound great alongside the whooshing space synths, all underscored by a driving metallic foundation. (The Case Of) Red Hook consists of Prog-Metal with crunchy guitars and atmospheric keys, transitioning between multiple heavy handed and lighter moods. I love the finale, with efx’d spoken word from Alisa accompanied by flittering space electronics. Strange High House eases the pace, being a lighter yet still metallic rocker, with dreamy keys and melodic flute from Nik, plus more rocking sax later in the song. At over 10 minutes, Times Unknown is the longest track of the set. It opens with a beautiful piano, guitar solo and space synth intro, before launching into a continually evolving Prog-Metal-Goth-Space rocking song. The segments with piano, flute, spacey synths, and searing yet melodic guitar leads are spellbinding, like a Space-Metal-Orchestral take on classic Progressive Rock. This is THE tour-de-force of the album! The Other Gods is a Goth infused Space-Prog tune with alien synths that sound like an invading horde of robot beetles. I like the off-kilter rhythms that flow seamlessly while providing an appealing sense of imbalance. And Doom of Sarnath closes the set on a high intensity note, being a fist pumping slab of rocking Space-Metal. A monster finale, and my favorite of the set along with Times Unknown. Aural Innovations (AI): Let’s talk about the theme of the album. Your last album – In Darkness They Whisper – was the first in a planned “Cosmic Horror” trilogy inspired by H.P. Lovecraft’s stories. Tell me how The Other Gods fits in thematically relative to the last album. Alisa Coral (AC): The Other Gods is the second in the “Cosmic Horror” trilogy. It continues the concept of songs based on H.P. Lovecraft stories. Some songs have the same title as the story, like The Nameless City and Doom of Sarnath, some not so you have to guess which story it is. AI: The Other Gods is being released just one year after In Darkness They Whisper, which I think might be the quickest follow up to an album you’ve produced yet. How did you manage it? Will part 3 of the trilogy follow as quickly? AC: I was writing, composing and recording new songs for about 3 years in a row. So when the In Darkness They Whisper album was released I had already recorded most of the demos for the The Other Gods. There was no break, constant inspiration. Now I think I need a break and some time before I start working on part three. I have ideas but I didn’t record anything yet. And we need to replenish the financial resources too – you know, the studios are not cheap! I don’t think the third part will be released in 2014. AI: Though there are guests on various tracks, you’ve got a solid lineup of musicians throughout the album, something I don’t think you’ve really had before. Was it just a matter of good fortune finding people willing to make the commitment? AC: Yes, this is something I’m very proud of. There were more musicians lined up for this album but some of them couldn’t record. So we (me and Martyr) didn’t want to wait and decided that we really wanted a solid line-up. It all started after we recruited Claudio Tirincanti to play the drums. He is very well known for playing with Blaze Bayley (ex-Iron Maiden) and now he plays with Tim “Ripper” Owens (ex-Judas Priest, ex-Iced Earth). He is the drummer I was looking for and it was immediately decided that he should play on all the songs. So all the drums and percussion you hear is Claudio. No triggers, no programming. Then there was Gabriel Monticello, a professional upright/bass player who is also a member of American Space Rock band Spaceseed. I recorded for their new album and got to know Gabriel really well. I asked him to record bass on several songs, than it was a couple more and in the end the whole album. So we got the same musicians playing bass and drums which gave the solid basis. Now it was time for guitars and Sparky Simmons already joined Space Mirrors as a new permanent guitarist. He recorded on just one song on the In Darkness They Whisper album but got 8 out 9 songs on the new one! I promised one song to Italian guitarist Fabio Bartolini so he recorded for the opening track. But me, Martyr Lucifer (a member since 2007! ), Sparky Simmons, Gabriel Monticello and Claudio Tirincanti are the actual Space Mirrors band now. And I hope this line-up will record on the albums to come! We also have such regular guests as Nik Turner and Cyndee Lee Rule. I should say special thanks to Nik for delivering great recordings right on schedule while he was busy on his winter US tour. You can always rely on Nik. Maybe James Hodkinson will agree to add his mellotron and minimoog again on the next albums too. We really like his solos on the song Stranger in the Mirror. So I tend more to having a regular line-up of guest musicians too. AI: I continue to be fascinated by your unique blend of Progressive Rock, Metal and Space Rock. 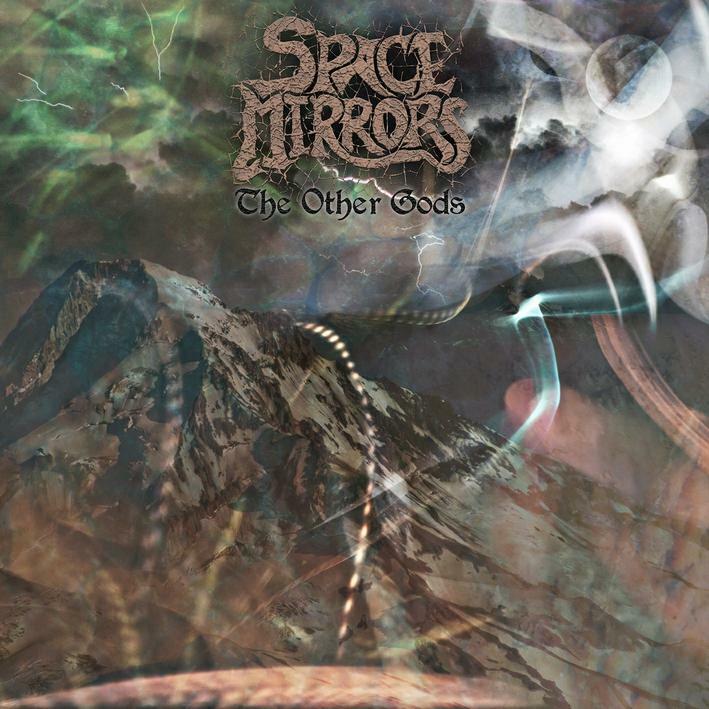 The Other Gods has some of the most overtly “Prog” sounding music I’ve heard from Space Mirrors yet. Was this intentional or just the way the music found itself? Times Unknown best exemplifies this and is one of my favorite Space Mirrors tracks to date. There’s so much happening in it. AC: Oh, yes, Times Unknown is my favourite track. It was the first song I composed for this album. I’m not sure how “Prog” it is. These days everything is called “Prog”. So I don’t pay much attention what genre or style it should be. I just compose the music and the lyrics. Follow the concept which inspires me. And that’s it. So it’s never intentional. If you say we have more prog on this album – so be it! I trust you in your definitions. AI: I never think to ask artists this question, but tell me about the thought and planning that goes into the order of the songs. I love the flow on the album, and Doom of Sarnath ends it all on such an intense note that I was sitting and waiting… waiting for more. A really solid finale. AC: Thank you. I tried several combinations of the order as I always do to keep the right flow but Doom of Sarnath was always going to be the last one. Can you believe that I almost threw this song in the trash bin? Then I decided it should be completely re-recorded to Claudio’s drums. Gabriel re-wrote the bassline and Sparky did new guitars. And then it was something different, something I really liked. I thought it would be an excellent finale for the album. And when Martyr sent me the demo of the song Stranger In The Mirror (music for which he wrote) I immediately knew it would be the opening track. So I had to determine the order of the songs between those two. AI: You’ve got two albums now on Transubstans. Have you experienced better distribution for Space Mirrors? Will part 3 of the trilogy also be on Transubstans? AC: Yes, much better distribution and promotion. I really like how Transubstans works. As about third part of the trilogy we will have to wait and see. Naturally I would like it to be released on Transubstans as two other parts are there too. And how about releasing all three parts as a vinyl box-set then? Something we need to talk about with our record label. AI: Any other projects in the works? Anything going on with Psi Corps? Keith Hill is back with the third Oceanfire release, following A Set Of Songs Parts 1 & 2 and Exit / Rejuvenations. For KHZ4 (glissorchestrations/sonics), Keith explores different territory, creating what he describes as demos of glissando inspired pieces and some electronica with glissando, treated guitars. And sure enough, Keith serves up 10 tracks of gliss inspired space ambience and beat driven electronica utilizing, in addition to gliss guitar, acoustic guitars, midi-synth guitars, FX, synths, percussion, loops and samples. Each of the 10 tracks is simply named Movement 1, Movement 2, and so on, with Movement 2 (khz4) and Movement 7 (khz7) having a little something extra in title. Keith could have easily created a set of deep space ambience focusing solely on the gliss, but there’s far more going on that that. We do get gliss driven space ambience. But there’s also deep space gliss guitar combined with pounding electronic beats making for a contrasting combination of meditative calm and a compulsion to dance. We’re also treated to gliss guitar plus ethnic percussion and robotic electro beats, as well as floating space electronic excursions that transition to pure gliss ambience. One of the highlights is Movement 4 (khz4), which features some of the most emotive guitar of the set, combined with interesting percussion patterns and sparse but effective synth effects. My favorite tracks are Movements 6 – 9, on which New Jersey based musician Rob Pullan assists with electronics, FX, monologue samples, bass, and drum programming. Movement 6 combines the sound of a running stream with ethnic percussion, searing gliss and efx’d electric guitars, cavernous drones, rising and falling synth lines, and a stimulating parade of sounds. Movement 9 is similar but more restrained. Movement 7 (khz4) consists of voice samples from what might be old TV shows combined with dreamy droney gliss ambience and pounding rhythmic electro beats. And Movement 8 goes in a completely different direction with a good ‘ol bass and drums rock rhythm section, plus cool grooving ethnic percussion and acidic gliss guitar. Oceanfire has been Keith’s license to experiment and explore and the results have been consistently intriguing. 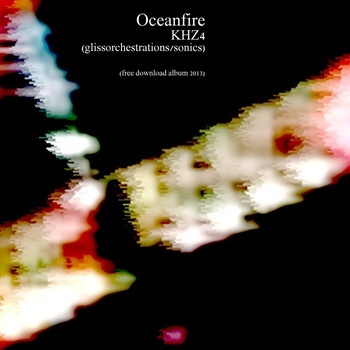 Note that all the Oceanfire albums are available for free streaming and download so check them out. Homogenized Terrestrials is Phil Klampe, who has been making abstract recorded sound packaged with immaculate artwork since the early/mid eighties. Having been involved in the home taper scene, he has worked on a number of projects with Hal McGee, Brian Noring (FDR tapes), Charles Rice Goff III, and more recently has been involved in performance and collaborative work with Headless Ballerinas Underwater, Rebekah’s Tape, and Dog Hallucination. Klampe finished this new recording after accumulating a hefty amount of hi-tech equipment and having plenty of time to think. The Contaminist is a more carefully composed, arranged, edited and and mixed collection than earlier albums…. so says the press release. On to the review. DNA IN THE DIRT: Immediately starts from deep space, simple percussion and keyboard drones that sound like a female vocal. 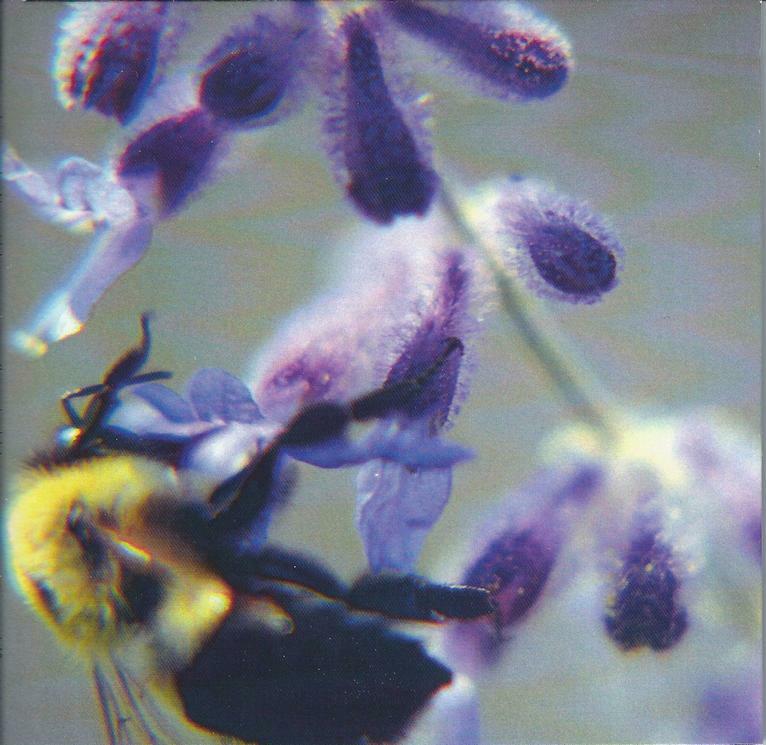 Nice photos of bees that comprise all of the CD artwork. 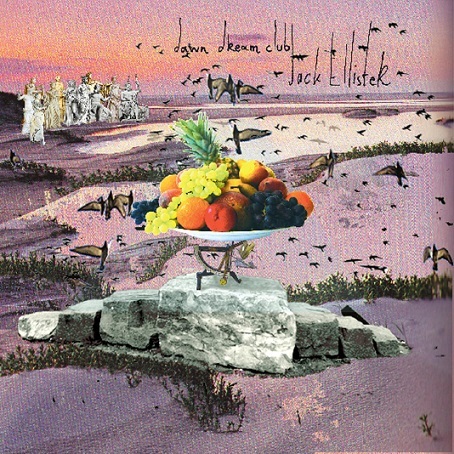 YEK TOPEK: Primal rhythmic drums on this one along with ambient clunkering. CONTAMINIST: It’s raining buzzing clinking space debris… but it’s also a pleasant driving drone. TWO AY EMM: Oh, I get it, 2am! More cosmic drone lovliness. Dinosaurs playing a xylophone loop! SROA: Other word fidgetry and ethereality! (if that’s not a word it should be!) Kinda like when you got locked inside that church after you’d taken all that mescaline! Remember? No!? Don’t know what SROA means?? SPURK: Sounds like part two of previous track; yes, sounds like a spurk! Like falling down the rabbit hole with Tangerine Dream playing backwards on yer headphones (or ear goggles, as Jimi would say). Like if you found yourself in a chicken’s body and you were scratching up worms on the bottom of the ocean. GRAVITY REVERSED: Yes, we’re flying out into space and I’ve possibly run out of strange phrases to describe it?? SHINTH: Definitely a Chinese plinking sound along with the usual deep space droning magnificence! The only negative thing I could say about this CD is that it’s not that unique in sound and concept unless yer one of those classic 1982 space rock cretins, then it’s prolly way too weird. FOM POCLIPSE: Nice and short, oops, it’s over. PLASTIC RESONANCE KEY: Like typing a letter to yer dear old mama while the room yer in falls off the side of the mountain… yup, just like that! But there’s still time for the peyote enema to kick in before yer smashed on the rocks!!! Or maybe it’s nothing like that! ANTIQUES: This one is more exaggerated… in yo face… yet, the same soaring otherness. And the recording quality /mix etc. is very pleasant and warm!!! THE END IS ALWAYS NEAR: The perfect soundtrack for the next time you kidnap granny and read the first three Castaneda books to her while she’s pleading with you to get a good job!!! “No Nanna, I’ll never go back to college! There’s still no Ash Ra Tempel degree! !” TRUTH EGG: It just so happens that I had a heaping plate of scrambled truth eggs for breakfast, maybe that’s why I still don’t know the truth, they should have been boiled!?! White Sails are the San Francisco based trio of Leigh Gregory and Finnish brothers Ville and Jaakko Vilpponen. I’ve not heard of them before but the promo sheet says some former bands the members have been in include Mellow Drunk and The Bias. I found their Facebook page and see that Ville was in Dora Flood, whose 2007 We Live Now album was a very nice set of psych songs. 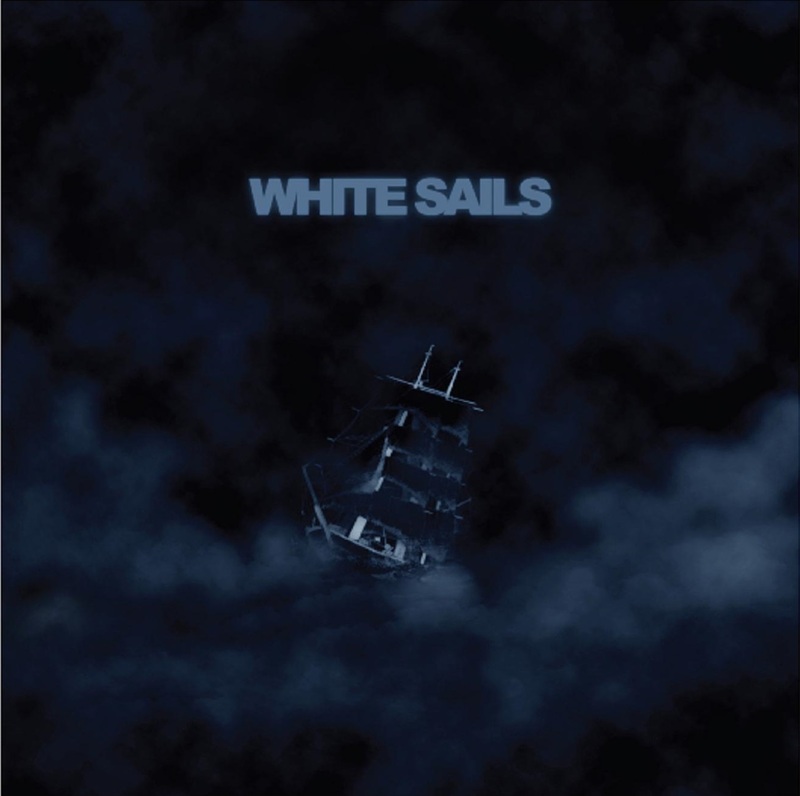 I also see that White Sails’ debut album was released in January of this year. The new White Sails single on FdM consists of 4 songs – two covers and two originals. The covers are… well… Black Sabbath are the god-fathers of Stoner-Metal, right? My introduction to the band back in the day was Master Of Reality, which included Orchid, so I knew from the get-go that the boys were capable of acoustic instrumentals. White Sails take on two subsequent, and far more gentle, Black Sabbath acoustic tunes as their covers for the single. They really make Laguna Sunrise (from Sabbath’s Vol. 4) their own, giving it a trippy Country-Psych atmosphere and groove, and colored by beautiful mind-bending guitar leads. Fluff was on Sabbath Bloody Sabbath, and I can easily imagine some fans having considered it precisely that. But the melody is simply enchanting, and on this one White Sails are more faithful to the atmosphere of the original, though I like the fuller instrumentation, including keys, piano and orchestral drumming in the mix, and the music does take on a more full band feel near the end. The Answer is the first of two White Sails originals. It’s a beautiful acoustic guitar driven instrumental that veers into majestic Prog territory when the keyboards and heavier drumming kick in. Death On A Pale is a similarly acoustic guitar led instrumental, though with a thudding rhythmic pace. These guys really excel at seductive acoustic guitar melodies and deceptively intricate playing. Stay are a pop-psych band from Barcelona, Spain who I was first introduced to last year through their album, The Fourth Dimension (CLICK HERE to read review). Their new FdM single consists of four songs, one original and three covers. 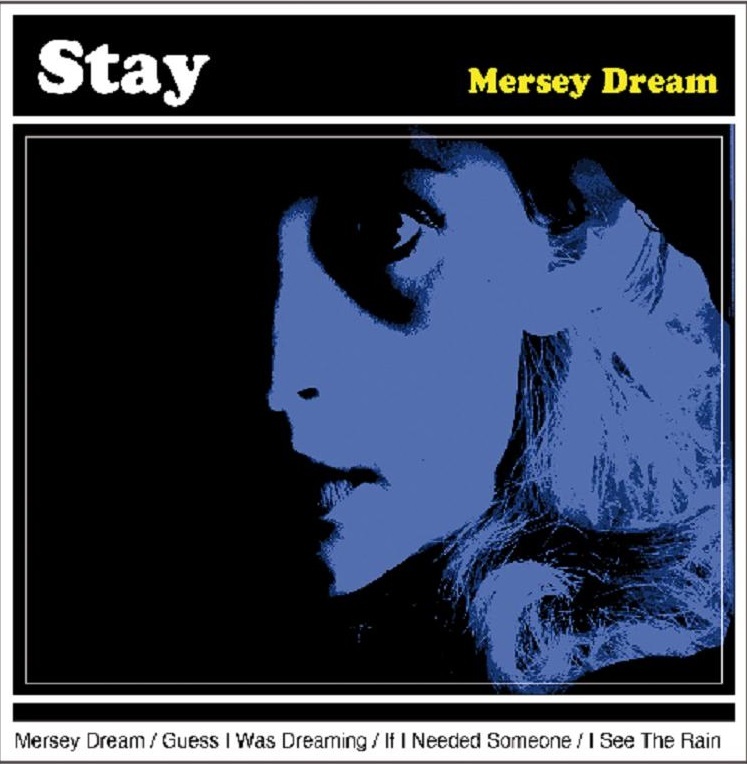 Mersey Dream is the original and is a funk rocking psych song with a potent chunky funky rhythm section, killer old time organ, and wah’d rhythm guitar and leads that are both liquid and acidic. This sucker could easily have been some lost track from the 60s. I’d never heard of The Fairytale, but apparently they were a UK band who only released a couple singles in the late 60s. Too bad they didn’t do more because a listen on YouTube reveals a real gem. Stay take their song Guess I Was Dreaming and amp it up with potent drumming, organ, and killer stinging and tripped out rocking guitar leads. Stay are close to the spirit of the original with The Beatles’ If I Needed Someone, though they quicken the pace a bit. Great instrumentation and production on this one, with all manner of efx’d psych guitars, keys and powerful drumming. Marmalade is another band I was previously unfamiliar with. They were a Scottish band that existed in the 60s, apparently in couple different formations before becoming Marmalade. I checked out their song I See The Rain on YouTube and it’s a catchy tune with high pitched vocals and some interesting contrasting edgy guitar. Stay make it a heavier rocker, striking a fine balance between retro 60s and a more modern feel. If you like well crafted Pop-Psych check these guys out. They’ve got four full albums to date. Crystal Jacqueline is a British musician and vocalist who has fronted such bands as Burning Ice, Hot Spice, Daylights Burning, and is singer-keyboardist in The Honey Pots. According to her Facebook page, Crystal Jacqueline has completed her first album – Sun Dance (though I’m not sure if it’s been released yet). 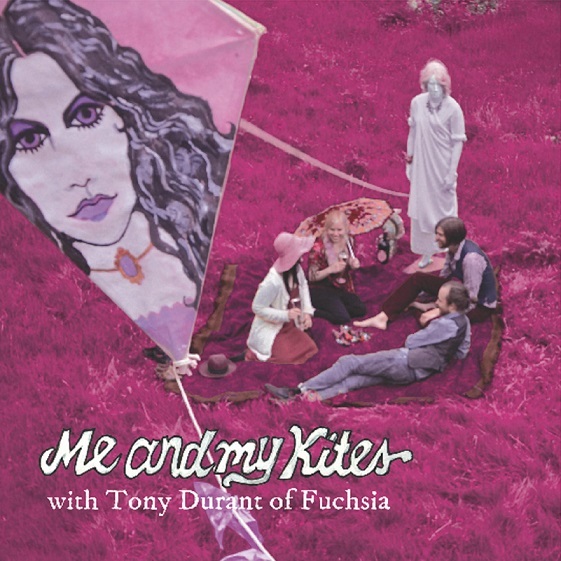 On her first FdM single she takes on a varied trio of covers. If you only knew The Troggs for Wild Thing, then Cousin Jane would came as a surprise, being a gently whispering and lightly orchestrated polar opposite from their best known hit. Crystal Jacqueline hews closely to the spirit of the original but stretches out a bit musically. It’s orchestrated but less on the gentle side than the Troggs. I like the dark piano lead and surreal synth melody, and Jacqueline’s voice is perfectly suited to anything with a 60s flavor. 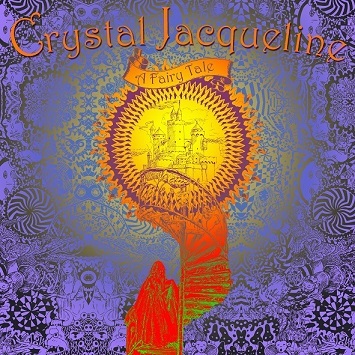 Crystal Jacqueline next take the whimsical Prog-Psych of Second Hand’s 1968 song A Fairy Tale and gives it an edgier opening guitar segment, a much more psyched out solo later in the song, and makes it all happen at a faster and more energetic pace. My favorite of the three is Jacqueline’s take on The Rolling Stones’ Play With Fire, which in her hands is both hauntingly dreamy and intense. I love the combination of bubbly psych guitar leads, acoustic guitar, piano and spacey symphonic keys. Nice stuff. I’m intrigued and will be on the lookout for her full length album.